Videos and Pictures from Past Events. Come join in some productive fun. Click for an insight of one of our events. 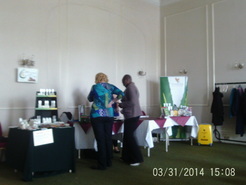 This was taken as business began to set up stalls for our March 2014 event. Sadly the battery of the camera became flat and we are unable to bring you are usual video presentation, of the great fun we had! Get a feel for what we do, click to watch.